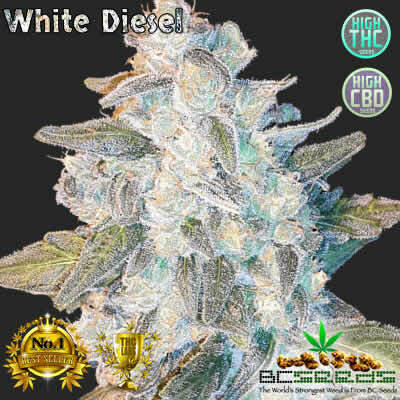 White Diesel is our newest creation of a very stable 50/50 Sour Diesel X All New White Widow Hybrid. She is exacly a medium hight plant. 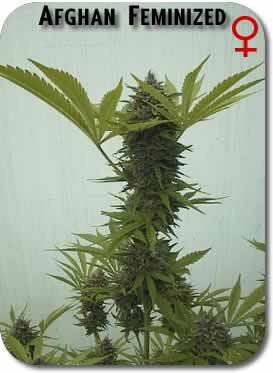 She is very fat and the plant will be exactly medium hieght with 3/4 of the width of sold cola. White Diesel Bud contains the most scented terps. Her taste still has the same gasoline untertone scents and a small hint skunk and even less citrus variant whose flavor was added in by the All New White Widow part of her heritage. She was created by accident when we ran out of Sour Dielsel Male pollen, and we used extra New White Widow Pollen to fertilize her. We didn’t plan t bring her to market, as we didn’t know how well she would take to stabilizing, but after only 8 generations, she is extremely stable and very tasty. The high is a pleasant change from just Sour Diesel, which is a personal favorite, and the white widow adds an extra layer trichromes, adding in more power, yet retaining the Sour Diesel type of preferable buzz. The extra pollen we used was from a choice All New White Widow Father, and we happened to use a slightly shorter flowering Sour Diesel Mother that grows distinctinvely fat. So our White Diesel Bud end result was perfection. The taller male and All New White Widow W Combined with the shorter Sour Diesel mother gave a perfect medium hieght, fat creation. Good dank, good seed bank. 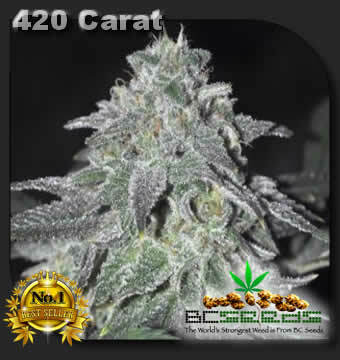 G’Day mates, bc seeds’ got the best stealth out there, they know how to beat the toughest QLD customs. All strains I’ve used are all of top of the line. Fast delivery times, consistent seed bank for over 20 years!